a. put ATR on the charts as usual. This happens in a distinctive cycle where slow conditions by the end of the day (end of the New York session, through the Asian session) are changed by a fresh morning session (right after 00:00 EST). When ATR is reading above 14 EMA - the market is active - that's where we want to be trading. When ATR is resting below 14 EMA - there isn't much activity going on - that's where we don't need trade. 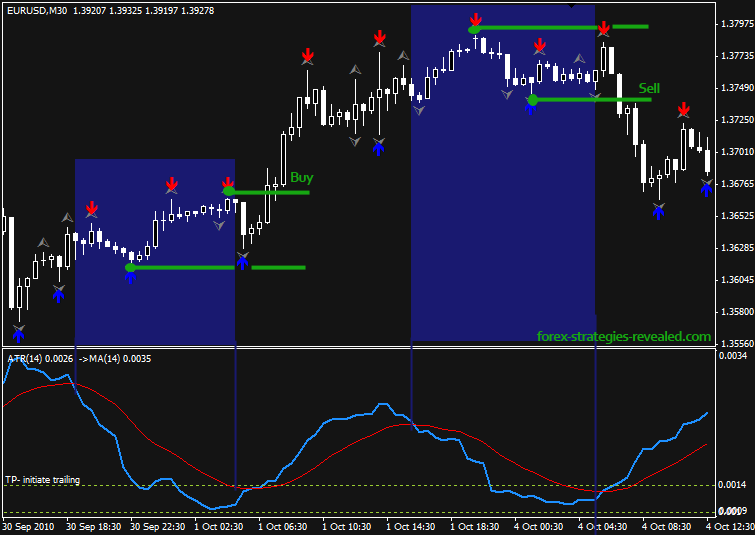 Use Fractals to set a breakout range. Set a pending order above and below the range when ATR approached the 14 EMA from below and is about to cross (approximate timing here).